Discovery Notes This soil sample was obtained at A.T. Still University in Kirksville, MO. I obtained this around 4:15 pm on September 9, 2018. The weather that day was approximately 65 degrees with a forecast of cloudy and humid. I found the location to collect the soil near a bush under some wood chips which I dug approximately 20 mm deep prior to collecting the sample. The soil was very moist and dark brown in color with a tarry, wet texture. 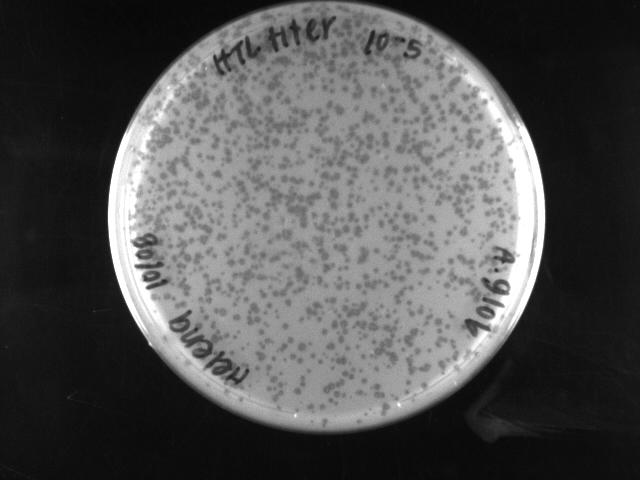 My phage did not have a PCR cluster and it was only cut by HaeIII enzyme. Plaque Notes My plaques were too small to measure, but they were clear in appearance and had an overall uniform and symmetric shape. They did not have a halo appearance.